BONUSES FOR BANKERS across the European Union are to be capped from next January, after the European Parliament formally backed new rules on banking setups which included a limit on the amount that workers can receive. From January, bank staff will be barred from receiving bonuses worth more than 100 per cent of their basic salary. While the rules do permit some staff to be given bonuses worth up to 200 per cent of their salary, these must be approved by a ‘supermajority’ of shareholders – where two-thirds of shareholders vote in favour of the payment, in a ballot where over 50 per cent of shareholders participate. Wherever a bonus exceeds 100 per cent, however, some of it will have to be left on deposit in the bank for five years – giving the staff member a direct financial interest in the performance of the bank in the following period. The deal now goes to the Council – comprised of the ministers from each country – for a formal ratification, but having already been approved by a committee of diplomats from each member state, approval is virtually assured. This is despite the objections of the United Kingdom, which opposes caps on bonuses for staff at banks in the City of London. If it is the only country opposed to the deal, the UK’s size and population is not enough to veto the plans. 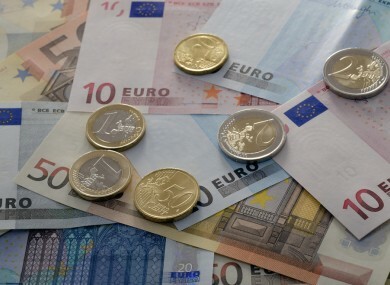 Michael Noonan welcomed the vote, which approved the terms of a deal brokered by Ireland’s presidency as part of plans to create a single banking regulator for the Eurozone. “This new legislation is a fundamental building block for EU banking union, an EU and Irish Presidency priority,” he said. Austrian MEP Othmar Karas, who compiled the proposals, said the rules would “instil fairness and transparency and contribute to a change in banking culture”. The new rules also require banks to increase capital levels and reduce the nominal risk assigned to loans to SMEs – a move MEPs hope will encourage banks to allow more lending to growing enterprises. Email “Bankers bonuses set to be capped after European approval for limits”. Feedback on “Bankers bonuses set to be capped after European approval for limits”.